​1) Social Media & Email integration is included! 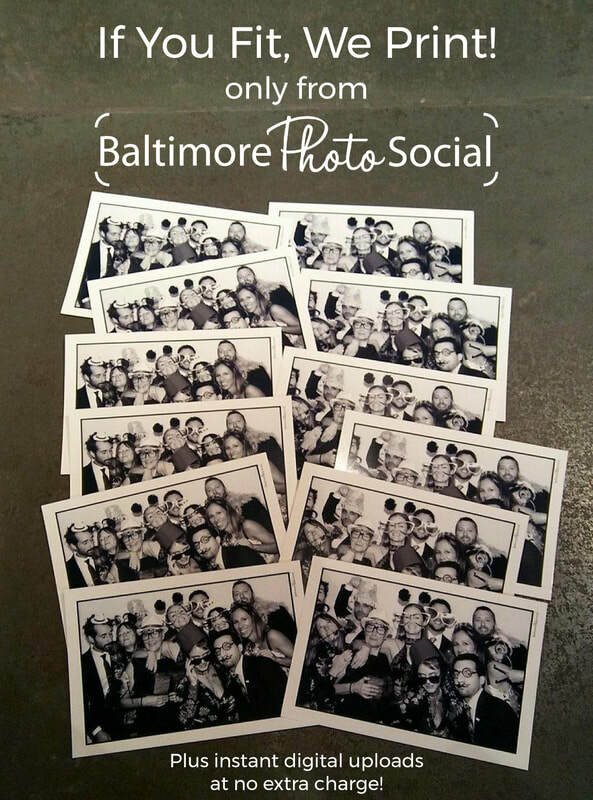 ​Baltimore Photo Social is the ONLY photography booth in Baltimore that offers instant uploads to Facebook, Twitter and Email-right on the spot, at no extra charge! ​2) Everyone gets a full size 4x6 print! Why make your guests fight over 1 or 2 tiny photo strips? Baltimore Photo Social provides a large, glossy, full color or B&W dye-sublimation print for every guest that comes through the booth, each time they come through! Our beautiful 4x6 prints are immediately dry and perfect for framing. The only limit is the number of guests who can fit! ​3) We are much more than an automated box! 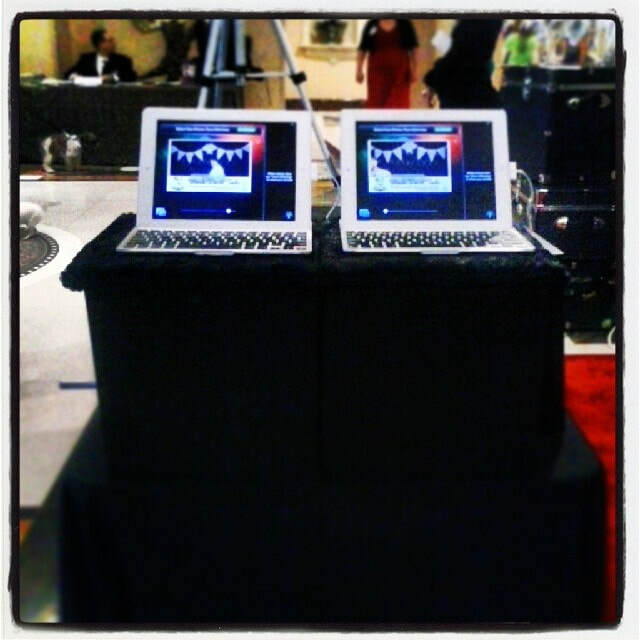 For your special event, why rely on a box with a point and shoot camera, or worse, a tablet? 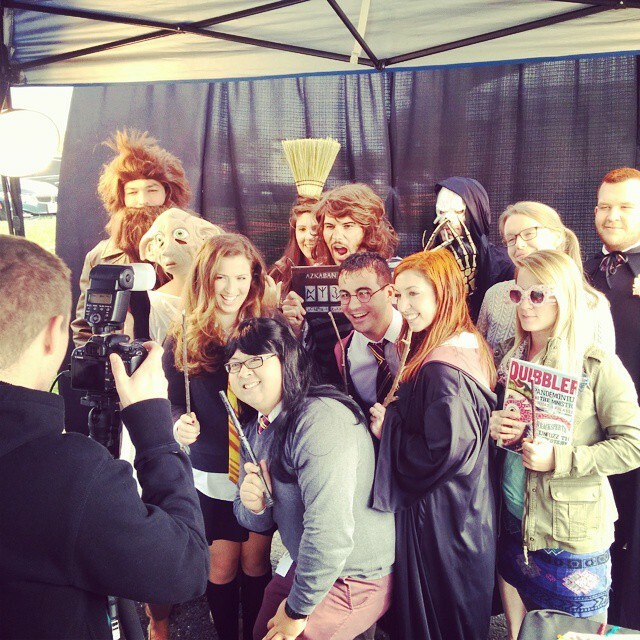 We've taken photo booth rental to the next level by turning it into a mini on-site studio. With high quality gear and studio lighting, our staff knows how to take flattering shots of your guests no matter where we are set up. We provide great looking images that your guests will love. 4) Baltimore Photo Social proudly offers an open concept booth. This means a lot of people can fit into the frame of a picture and not have to cram into a tiny photo booth! We have had groups as large as 20 in one shot! 5) Baltimore Photo Social takes events seriously...but in a fun way. With almost 20 years of event experience, we know what it takes to make an event run smooth. We keep our area neat and tidy. We take pride in our appearance. We never drink at events. And we make sure your guests are having a great time. 6) Baltimore Photo Social is extremely competitively priced. We will beat any written competitors price quote for comparable service! 7) Baltimore Photo Social offers you much more for your money. Unlike other companies, we staff all events with a professional and experienced event photographer, not just an attendant. We provide high quality equipment, and our own tables and linens (no additional rentals needed for us.) We give you your choice in background color, from almost 3 dozen in stock options. Or you can upgrade for a nominal fee. We include custom graphic designed layouts with all packages, not just as an upgrade. We send you all of the images taken within 72 hours of the event, at no extra charge. We include tons of props, including hats, glasses, signs and more. No additional fee for props! And of course, we offer instant email and social media integration, absolutely free! 8) Baltimore Photo Social does much more than social events. In addition to providing photography booths for weddings, birthday parties and other social events, we also do corporate events, festivals, souvenir photography, fundraising, charity events, red carpet photography, candid event photography, car photography and race photography. 9) Baltimore Photo Social is a social marketing dream. If you are looking to increase your social media presence, you are in the right place! We can include like gates, share buttons, hashtags, and messaging with any package. We can also report share data metrics and collect email addresses for future marketing. Baltimore Photo Social is the most unique boutique photography booth in the area! I am Baltimore Photo Social owner and Baltimore native, Cristi D.
After working in the event industry for about a decade, I began photography as a hobby 12 years ago. From the start, I felt most comfortable shooting event photography and quickly began booking events as a roaming photographer. I decided to start a full fledged photography booth rental company in 2011 to combine all the things I love doing and like to think I am good at: Event work, photography, and ensuring sure people are having fun! It's been a wonderful challenge to bootstrap a start up from nothing and make it a success! I attend most events as the primary photographer and take pride in making sure that guests not only enjoy themselves, but also have a photo they love. When I can't be there, one of a few photographers I know well and trust takes my place. When I am not working with BPS, I am usually on my houseboat, keeping it afloat or off trying to save the world. The Delmarva Peninsula-Maryland Eastern Shore, Delaware and Virginia. There may be a travel fee for areas more than 60 miles from 21214.